Good news for fans of supernatural Japanese high school fiction - we are adding 6 new art prints to our official Persona 5 Fine Art Collection! We promised that the collection would eventually include prints of all the main characters, and that is exactly what we are delivering. 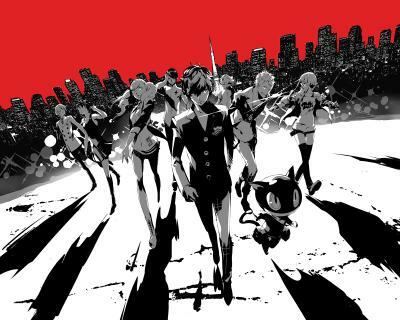 The additional prints include solo prints of Futaba, Haru, Yusuke and Joker, as well as two more artworks by Shigenori Soejima himself. Fans of Soejima’s work will be happy to know that one of these works is the group shot that was among the winners for this year’s Into the Pixel award. The prints are available unframed as well as in several high-end finishes. Most works come in two sizes, and the artworks «Infiltrate« and «Student Body« (Large) include an autopen signature by Shigenori Soejima on the Certificate of Authenticity. Prices start at $105. The full Persona 5 fine art print collection is exclusively available from Cook & Becker’s website: https://www.candb.com.